India and Vietnam may be interested in the Mistral-class amphibious assault ships, which France has refused to deliver to Russia, Ruslan Pukhov, Head of the Center for Analysis of Strategies and Technologies told TASS. 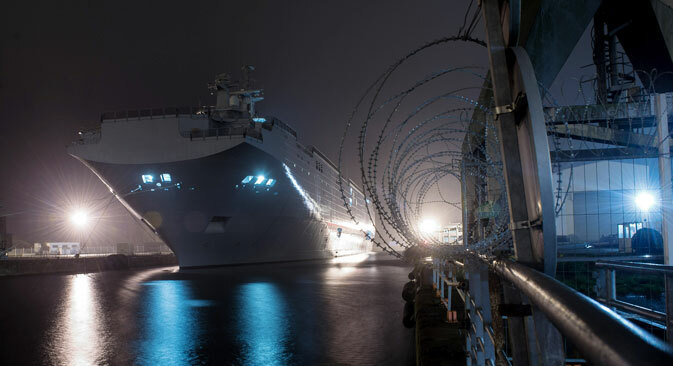 Last week, Russian President Vladimir Putin and his French counterpart Francois Hollande agreed to terminate the contract for the delivery of two helicopter carriers of the Mistral class, concluded in the summer of 2011. French Defense Minister Jean-Yves Le Drian has recently hinted that some countries have already displayed interest in the Mistrals. “It is logical to presume that the French will offer these ships to the countries, which planned to have this type of vessels under their naval program, or sell these ships at a reduced price to the countries traditionally buying used French hardware,” Pukhov told TASS. “The first country is India, which has expressed its desire to buy one ship and build three more ships of this type at its shipyards, and, as far as I know, the French would want us to assist them in this,” he added. The Indian Ministry of Defense refused to comment on the TASS report. Sources close to the ministry told RBTH that it would be too soon for the country to explore a deal for the Mistrals since India and France are still finalizing the sale of Rafale aircrafts to the Indian Air Force. “Both countries dragged their feet on a tender which a French company won, and a compromise was reached very recently…The countries are still in talks over licensing and technology transfer issues,” the official said. The Mistral helicopter carriers may also be of interest to Vietnam Pukhov told TASS. Nguyen Phu Loan, a defense analyst based in Hanoi told RBTH that Vietnam would not pursue a deal without consulting Russia. “We have to understand that the establishment does not want to upset Russia, which is Vietnam’s largest arms supplier,” he said, adding that China may also be interested in buying the Mistrals. “The Mistrals issue would figure in the foreign ministry consultations between Vietnam and France in Paris this year,” Loan added. The Vietnamese Defense Ministry could not be immediately reached for comment by RBTH.